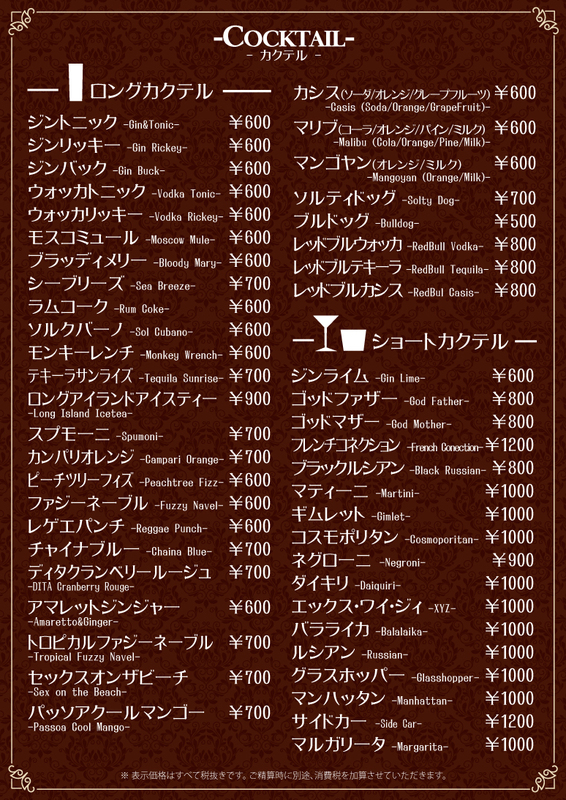 Drink menu of DiningBAR Hidden Lounge is, stick to three points , and more so that you feel free to use anyone, reasonable pricing a cheerful We offer all of the menu. Please relax with peace of mind. Plenty of use blueberries, raspberries, blackberries, were combined in a red wine and ginger ale. Mixed berry is said to have a high skin-beautifying effect a strong antioxidant effect. Also excellent taste not only a cosmetic effect. Customers of women by all means! Grated raw ginger on the spot, and then to the cocktail flavor and spicy is in most fresh state. The black pepper to accent to finish. It is very spicy Moscow Mule for adults. 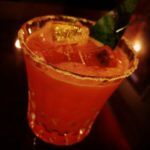 Dipped more than two weeks the bacon in vodka to extract the flavor, creating a smoky flavor of bacon vodka, the is simple in addition to a little accent Airamoruto, there is a very habit, is a gem favorite broadly classified. Bloody Caesar using the bacon flavor of vodka that was extracted immersed in two weeks vodka. Clam extract Clamato tomato, Worcestershire sauce, black pepper. 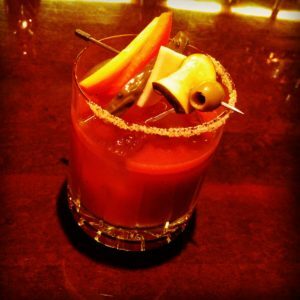 In other is the taste Bloody Caesar, such as the soup does not taste. 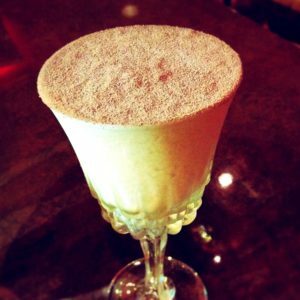 Cream cheese, use espresso, cocoa, rum, is the drink was created in a rich, sweet and luxurious drink tiramisu. Come on dessert instead of a deadline. 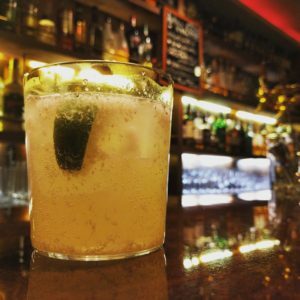 Our most popular classic cocktail of mojito. 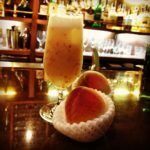 We offer as a regular menu, but you will be recommended again here, because we have become the season will want to drink is thick mojito. 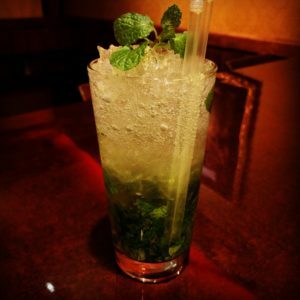 It is rich and refreshing mojito using To slew the mint into a glass full. The use plump by one banana, a cocktail made with milk and Jack Daniel’s Honey. 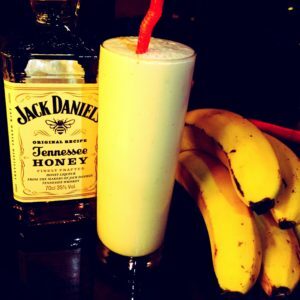 It will drink gulp like a fresh drink, such as want to drink to likely morning came out to breakfast, but firmly entered alcohol! 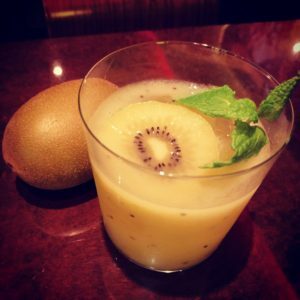 Fruit cocktails with seasonal fruit in plenty of luxury in every season. Fruit to be used for cocktails, but varies depending on the season, strawberry, kumquat, kiwi, watermelon, melon, grapes, figs, pear, peach, persimmon, such as oranges … sweet, please relish the juicy fruit cocktail. Hidden Lounge Original cocktail. 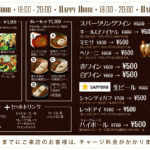 You can enjoy a variety of flavors using fruits, ingredients, spices etc as ingredients. 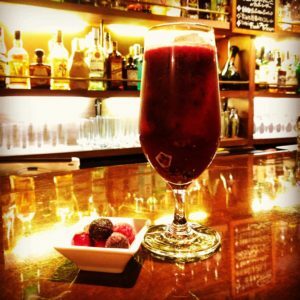 Cocktails with seasonal fruits are also recommended. 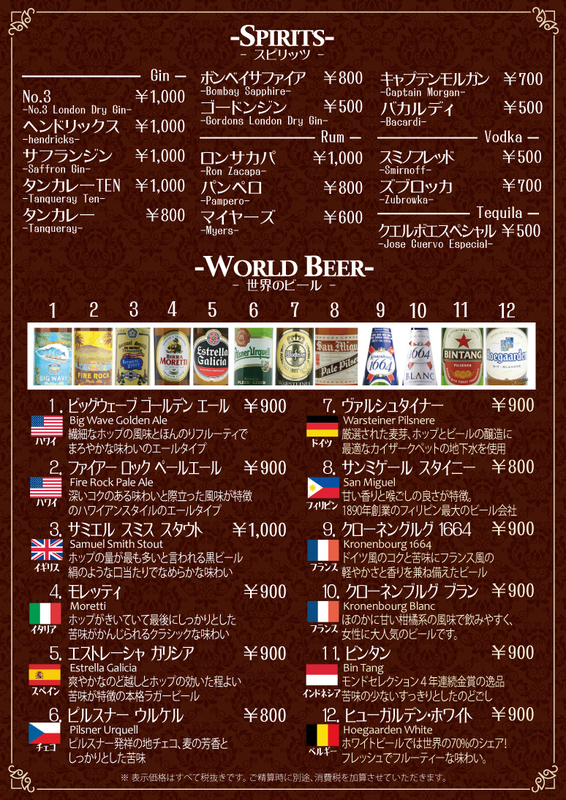 Not only Japanese beer, we have many international beers. 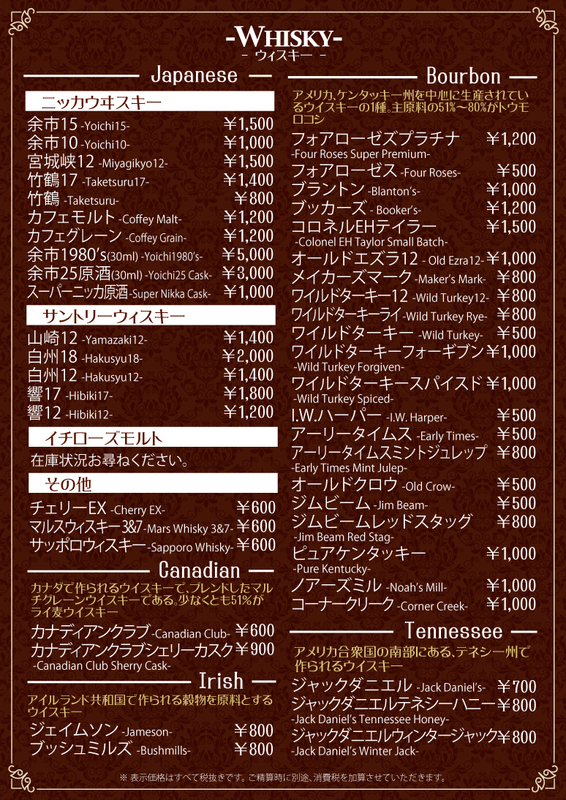 Please enjoy the taste of various beers of various countries around the world. 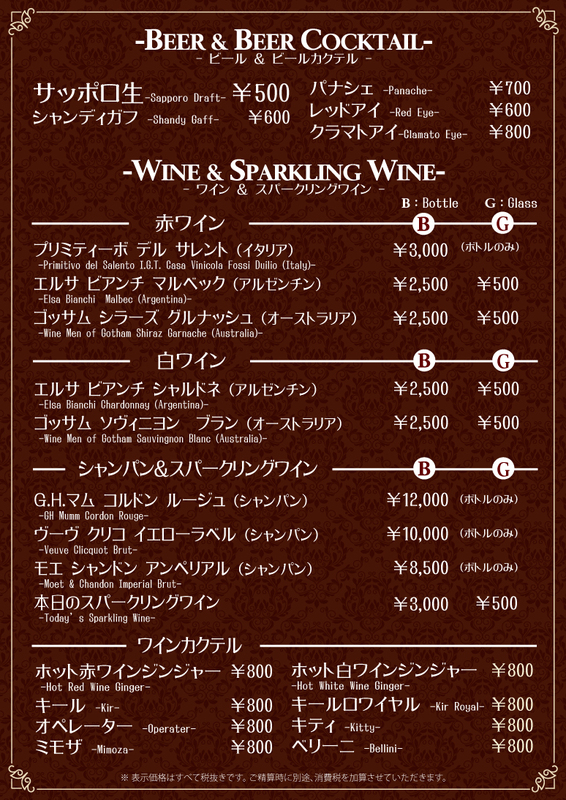 Wine focuses on wines that are reasonably priced and delicious, and Argentine and Australian wines are available in red and white in each house wine. 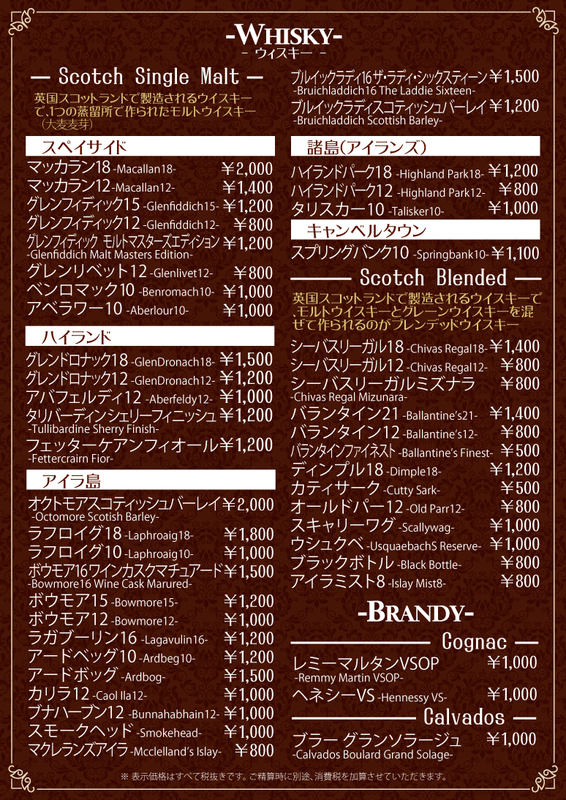 Japanese whiskey, Scotch, Bourbon, we offer whiskey all over the world. 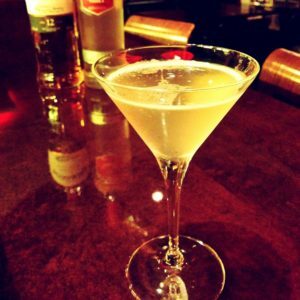 Shochu offers potato shochu, wheat shochu, brown sugar shochu, plum wine. 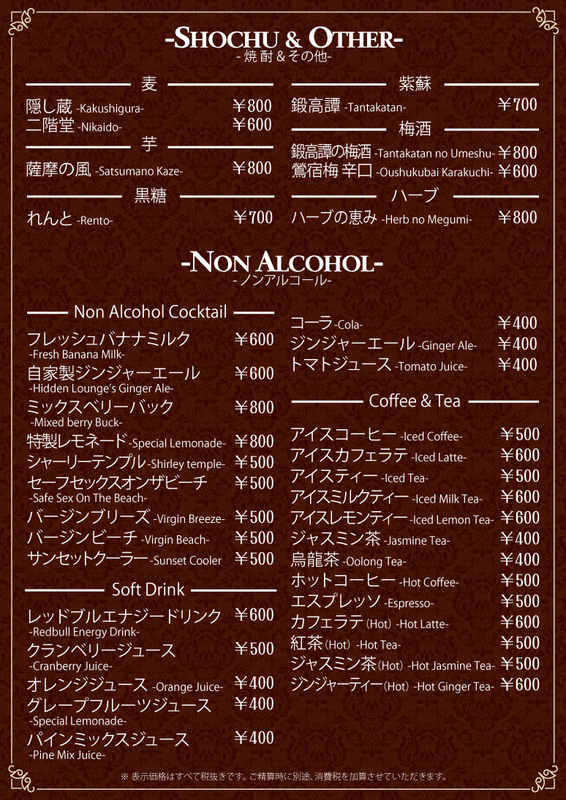 We also offer Non Alcohol Cocktail, coffee, tea etc. for customers who are not good at alcohol.